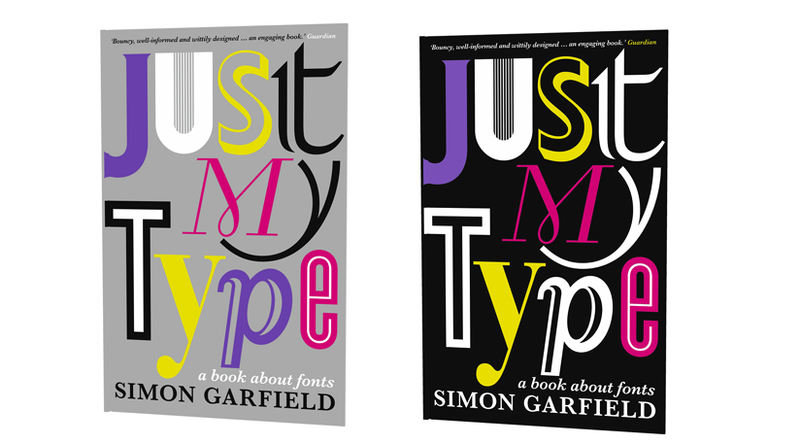 I’ve just got around to reading ‘Just My Type’ by Simon Garfield, a great book about fonts that was given to me for Christmas. It’s a really interesting look at the language, history and use of fonts and how they influence us. Great stories and facts fill this book, such as that Steve Jobs studied calligraphy at college and how this influenced Apple’s products. 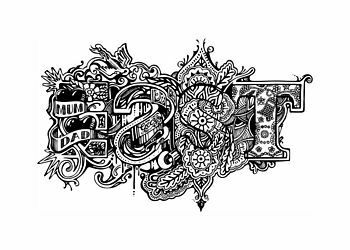 You could lose hours gazing at these intricate typographic illustrations of London by Vic Lee; available in West, East, South and North each word is made up of and surrounded by themes from that area. Although my heart really lies in the south and west of London, East London is definitely my favourite of these. 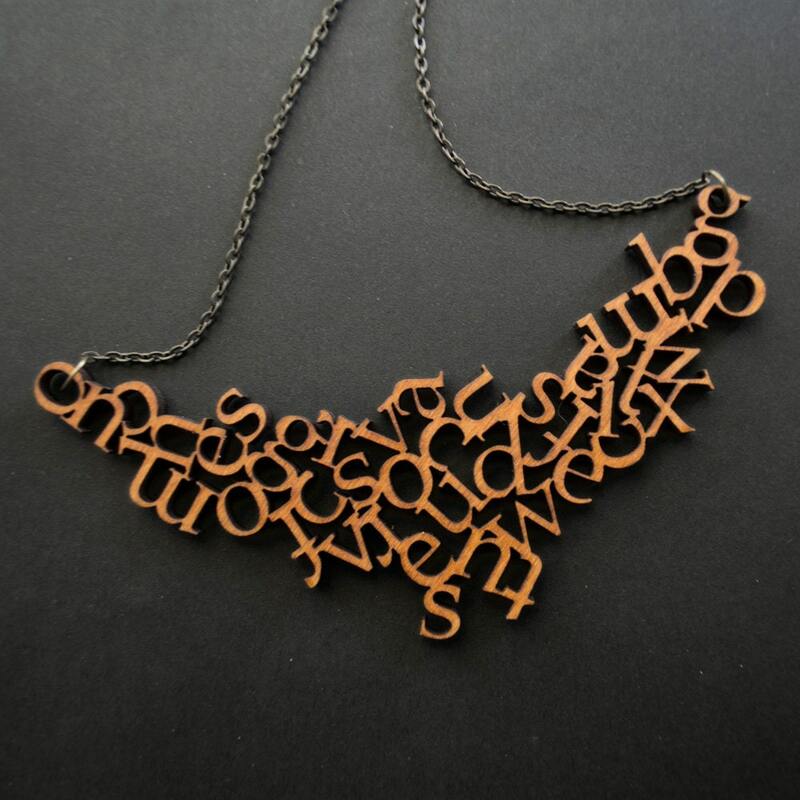 This Modern Wooden Alphabet Necklace by Little Red Lantern makes me imagine letters dropping from the wearer’s words and collecting round her neck. I’ll leave you with this beautiful video ‘Refraction – The Alphabet’ by Jesse Zanzinger.